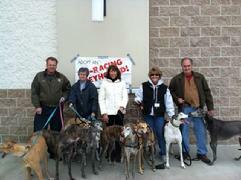 Eastern Shore Volunteers at the April Meet & Greet. 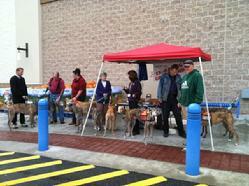 From left: Dennis with Pumpkin and Ivy, Yvonne with Lizzie and Ryder, Lee with Walker, Alice with Kazi and Rusty, and Pat with Al and Denim. 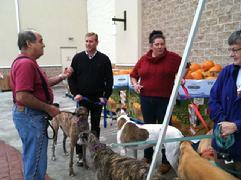 Wayne (not pictured) took the picture. 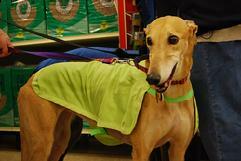 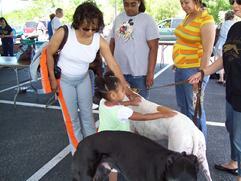 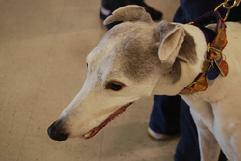 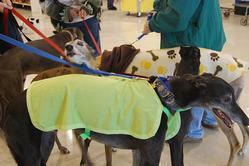 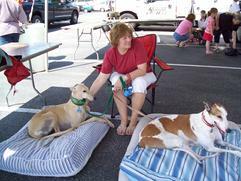 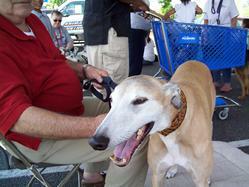 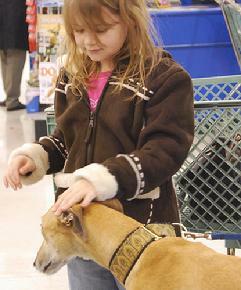 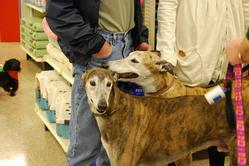 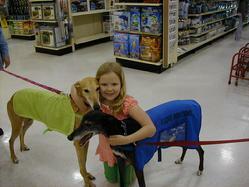 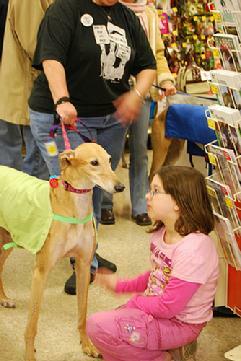 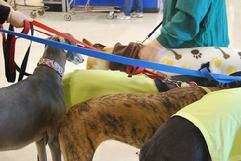 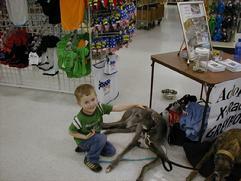 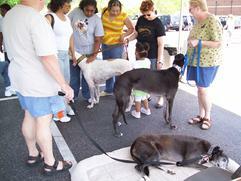 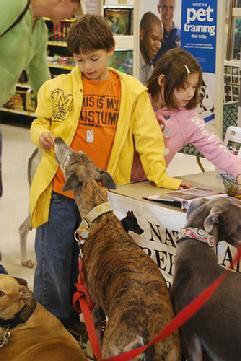 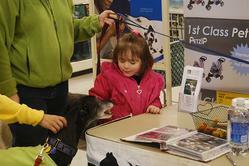 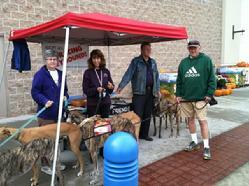 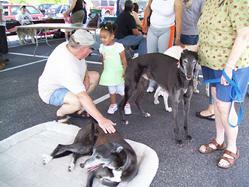 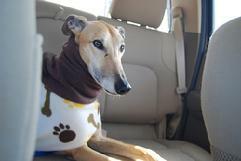 Volunteers talk with prospective adopters at the April 2013 meet & greet at the Town Center Petsmart in Virginia Beach. 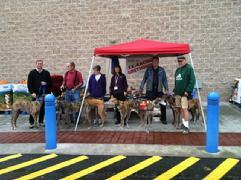 Eastern Shore volunteers at the October 2013 meet & greet in front of the Wal-Mart. 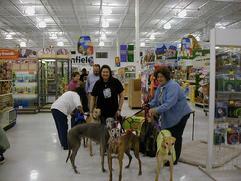 October 2013 meet & greet on the Eastern Shore. 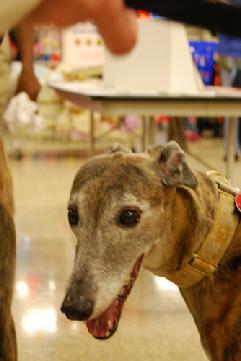 Happy - A model greeter! 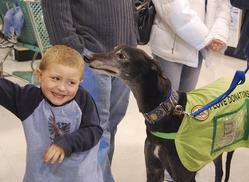 Dinner? 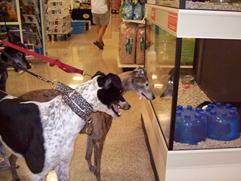 Baron & Tracy have their eye on possible dinner.